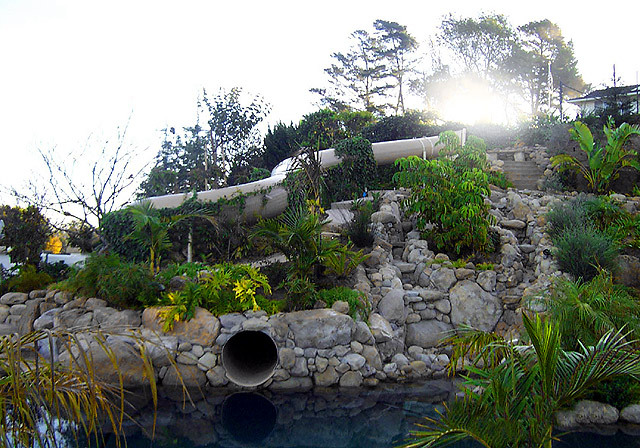 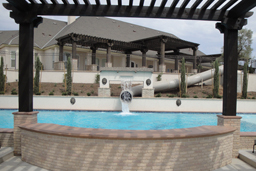 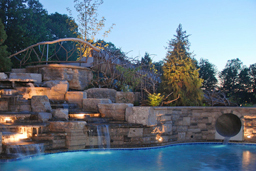 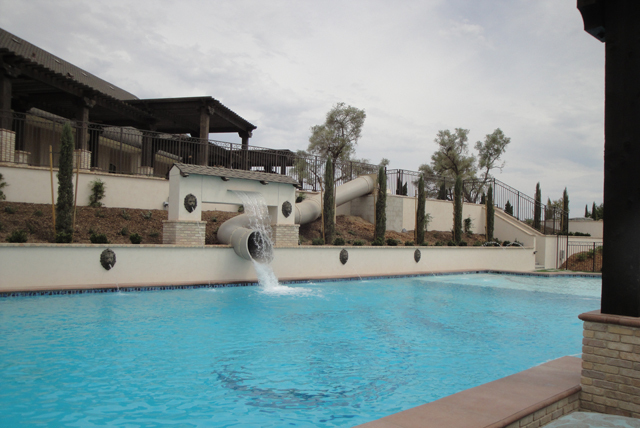 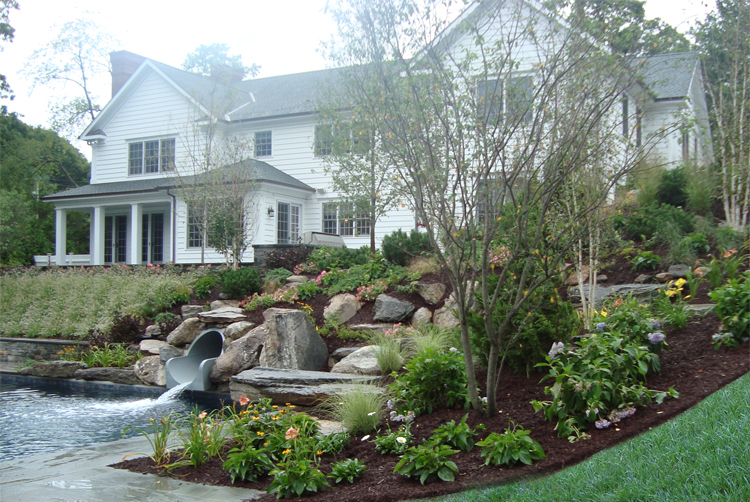 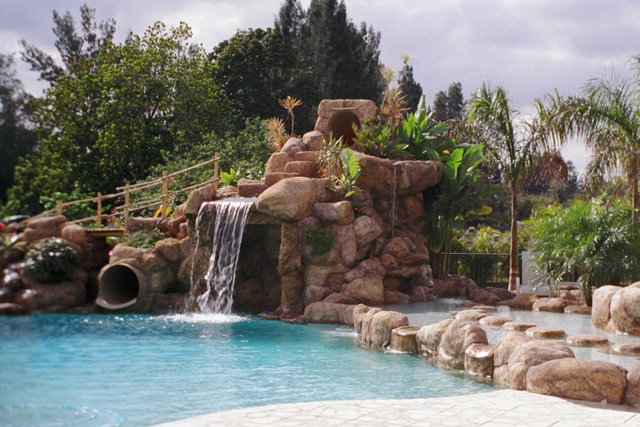 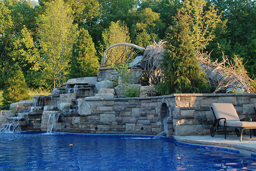 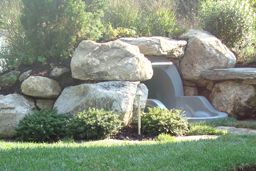 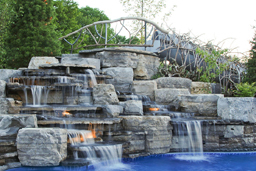 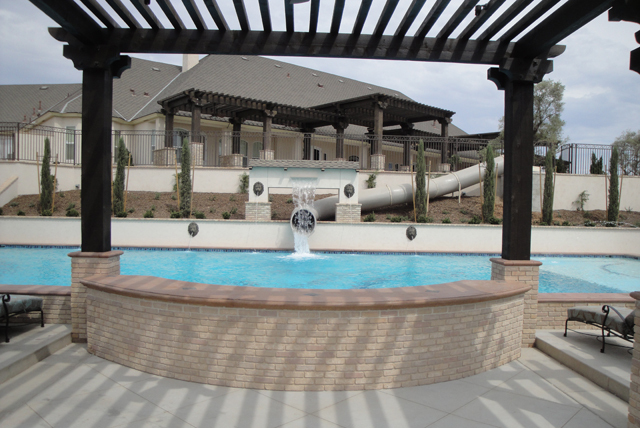 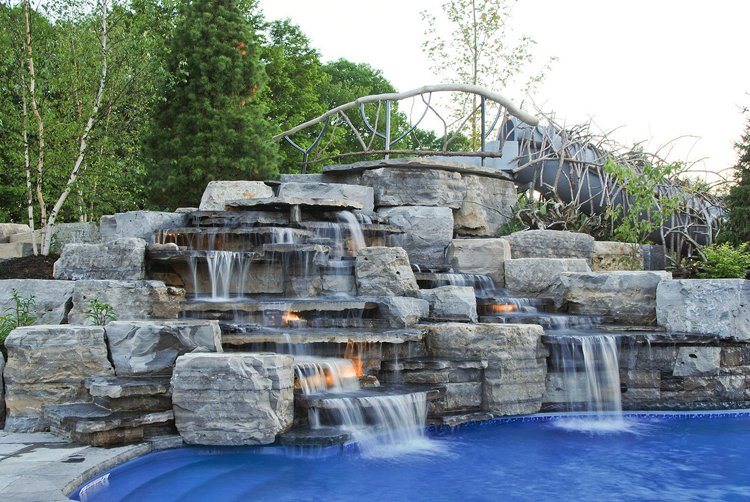 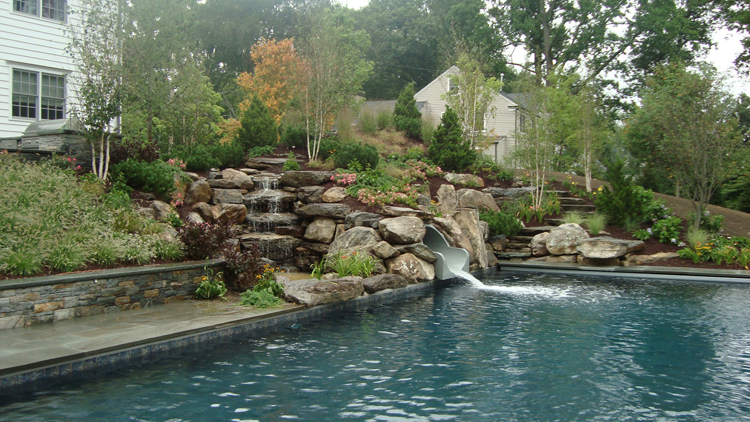 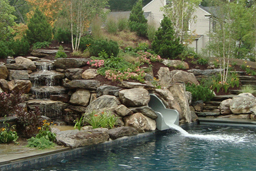 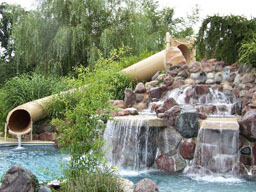 Description : Single closed fiberglass flume designed for hillside and landscape applications. 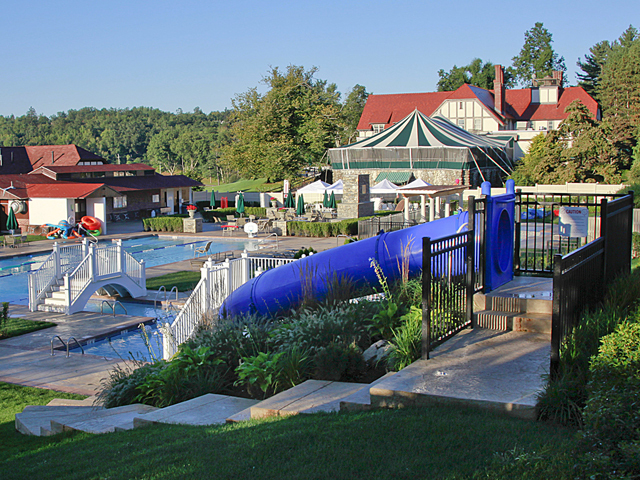 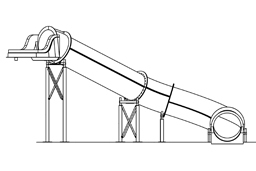 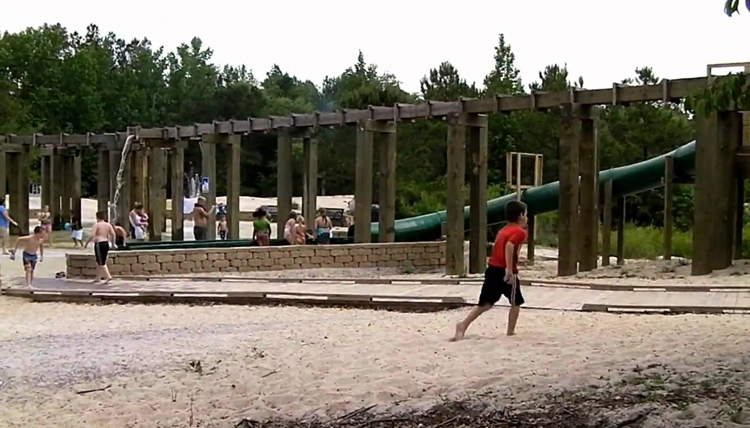 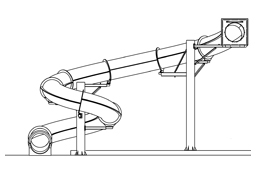 Slide Run : 34' 0"
Centerline Run : 31' 1"
Slide Entrance Height : 8' 2"
Space Requirements : 23' 5" x 10' 10" – Space requirements may vary with options chosen. 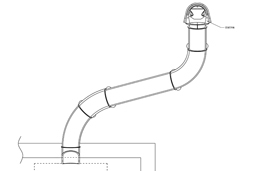 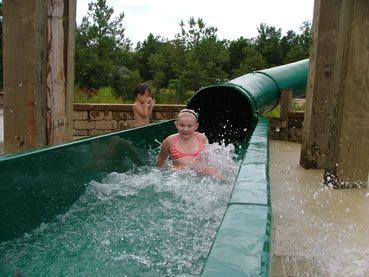 Minimum water depth: 5' 0"
Description : Single polyethylene flume slide featuring 360° and 90° curves. 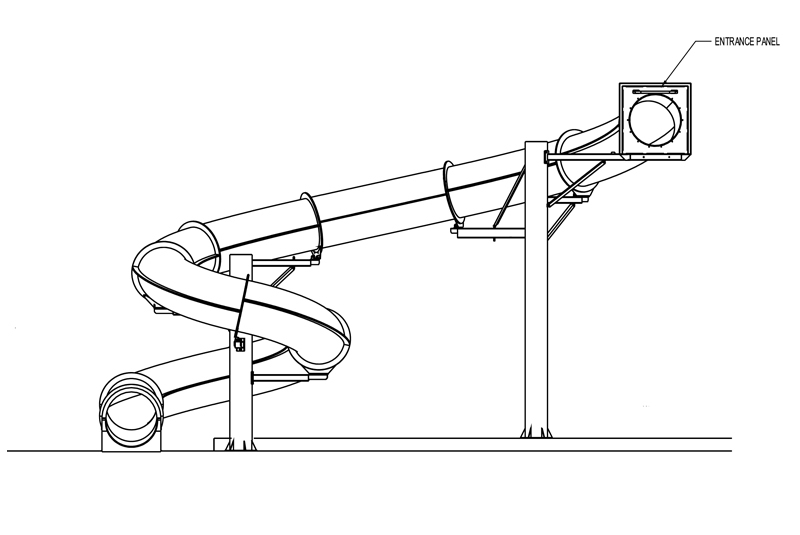 Centerline Run : 68' 11"
Slide Entrance Height : 14' 0"
Space Requirements : 11' 10" x 31' 0" – Space requirements may vary with options chosen. 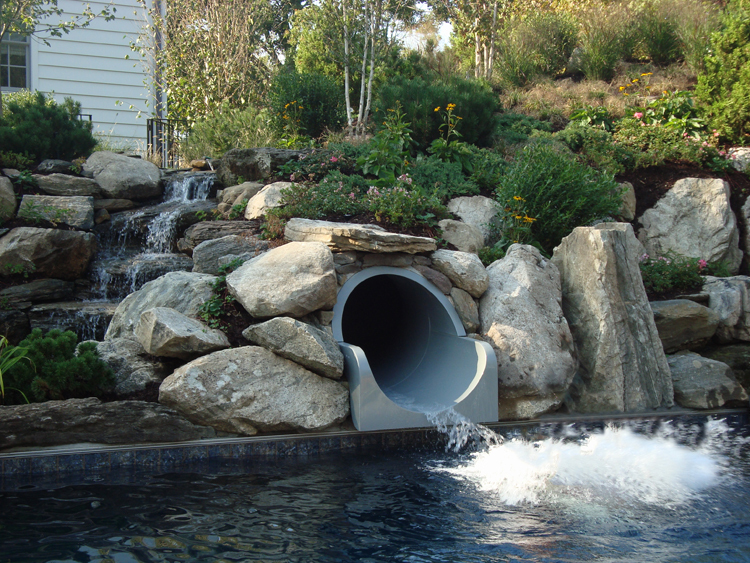 Splash down dimension 12' 6" x 20' 0"
Description :Single polyethylene flume designed for hillside and landscape applications. 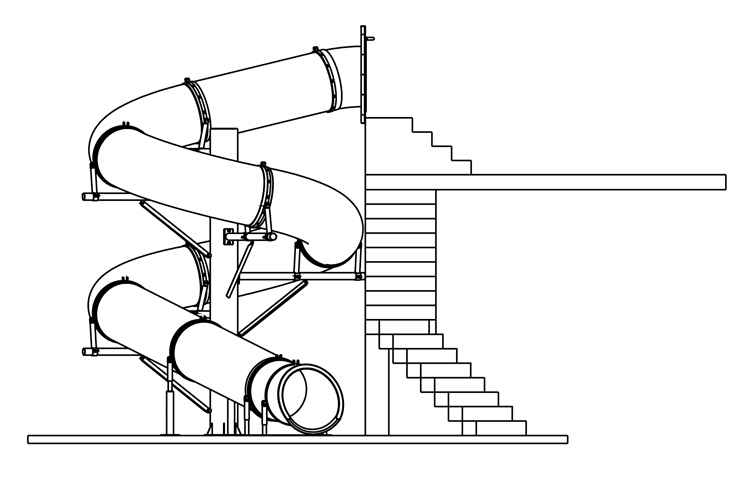 Slide Run : 74' 2 "
Slide Elevaton Height : 23' 8"
Space Requirements : 53’ x 23’ 7” – Space requirements may vary with options chosen. 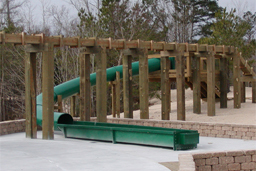 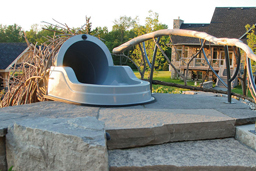 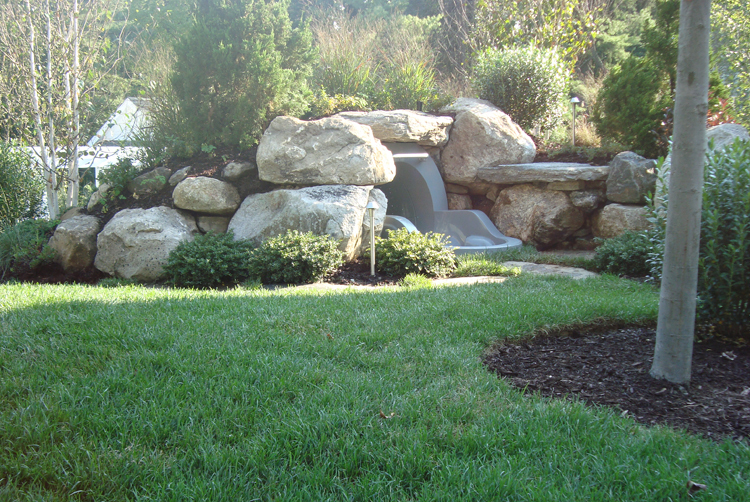 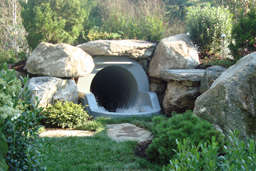 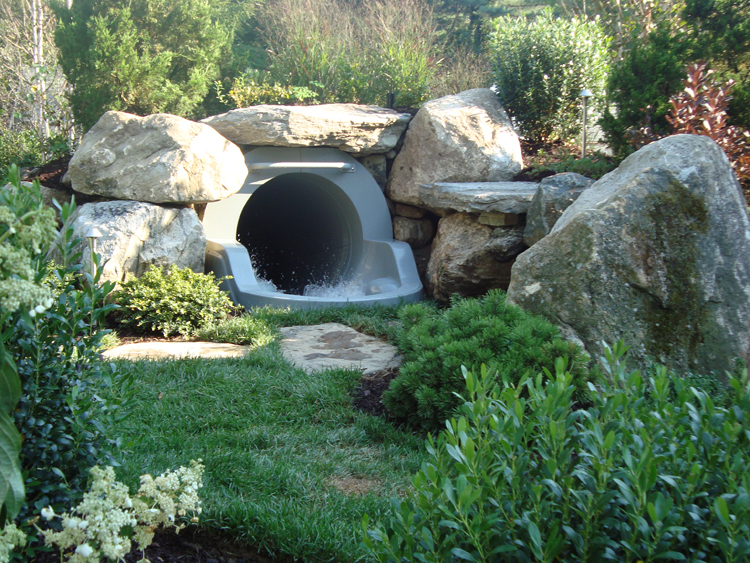 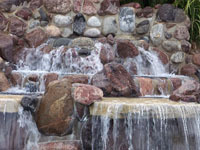 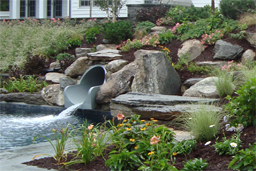 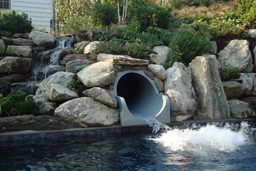 Description : Single polyethylene flume designed for hillside and landscape applications. 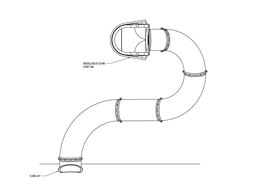 Centerline Run : 38' 6"
Slide Entrance Height : 9' 9"
Space Requirements : 36' 1" x 16' 0" – Space requirements may vary with options chosen. 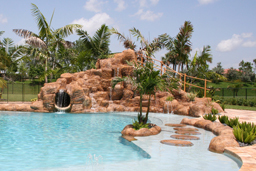 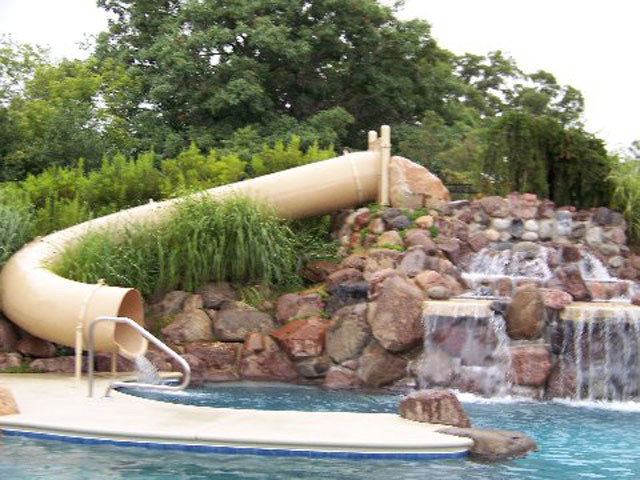 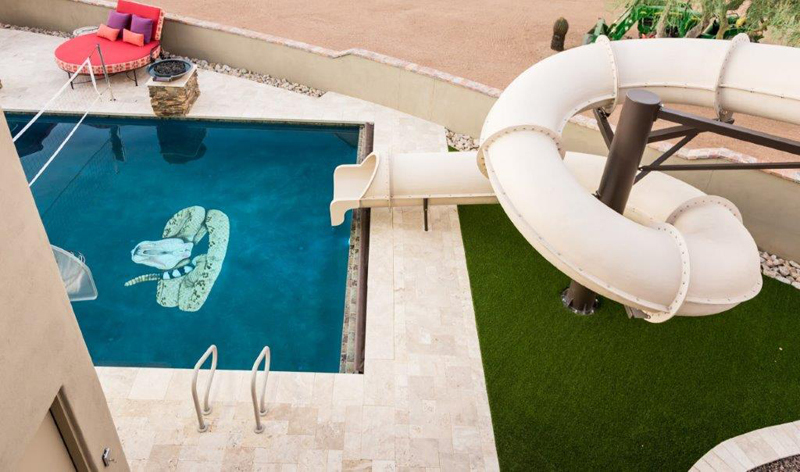 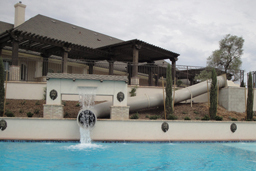 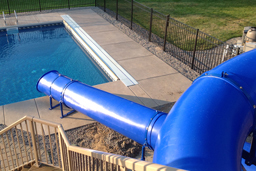 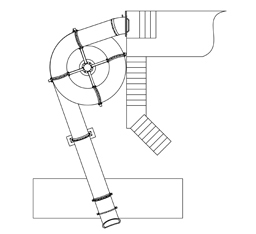 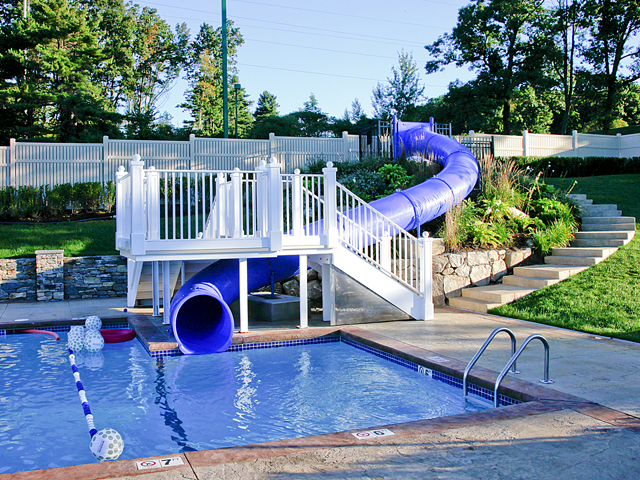 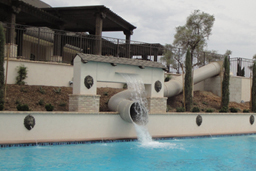 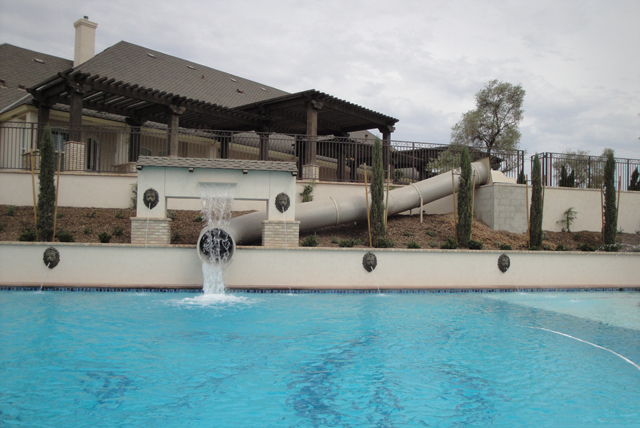 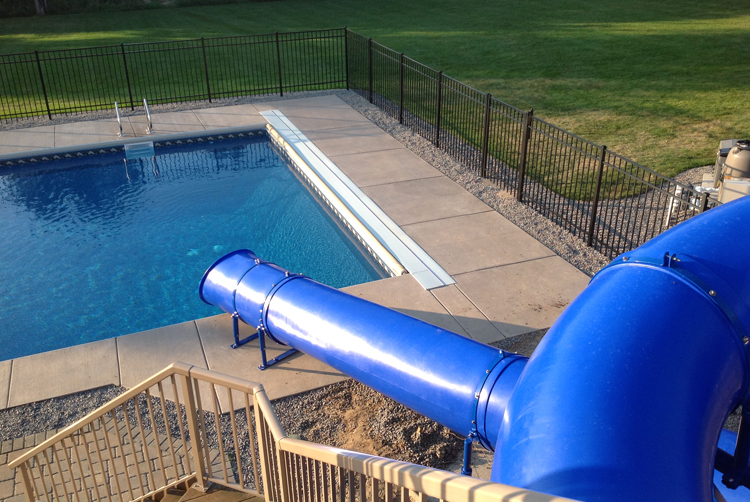 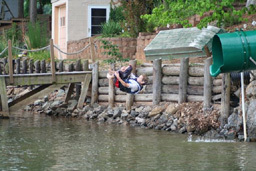 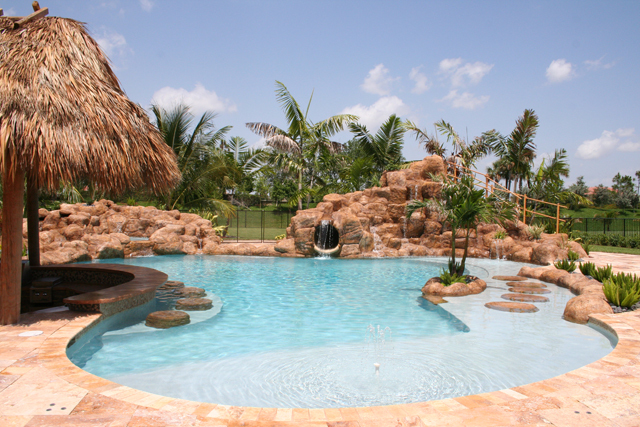 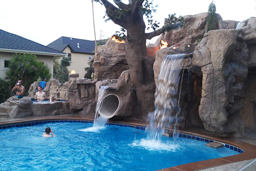 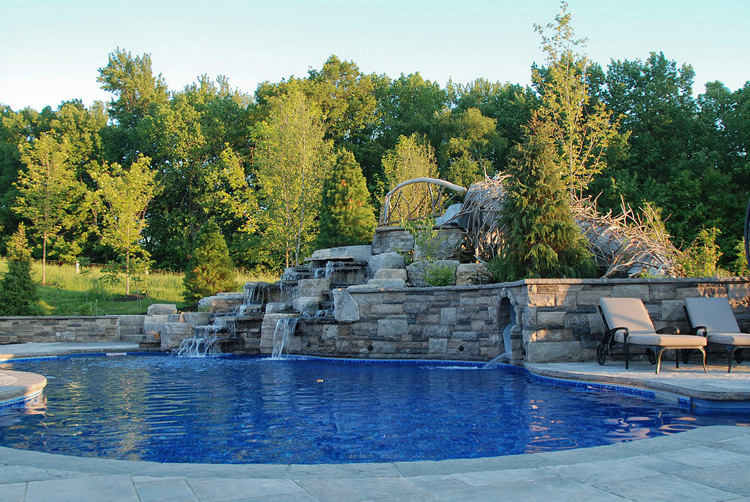 Splash down dimension 13' 0" x 20' 0"
Elevation Height : 7' 6"
Slide Entrance Height : 7' 6"
Space Requirements : 18' 2" x 12' – Space requirements may vary with options chosen. 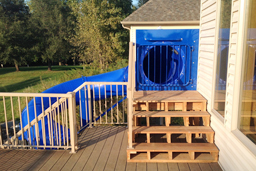 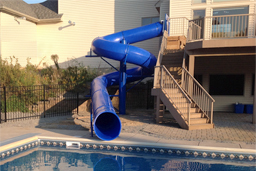 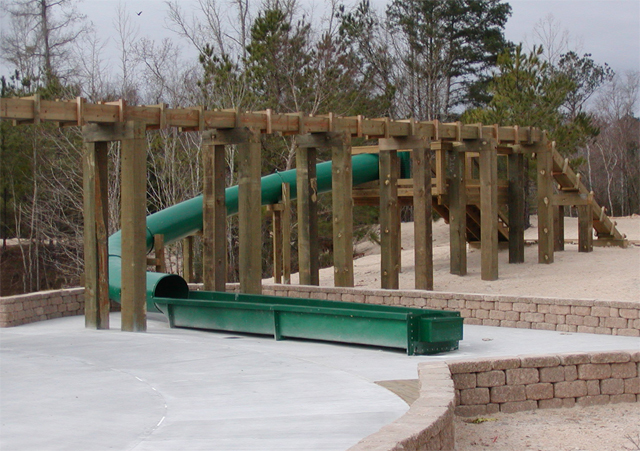 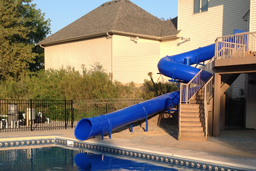 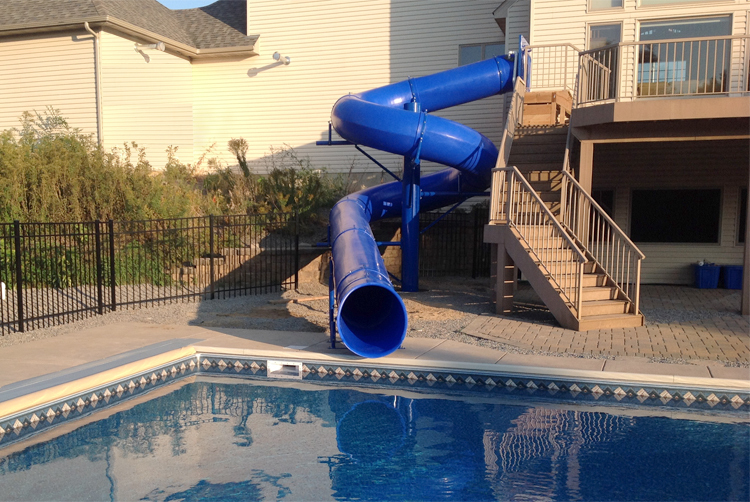 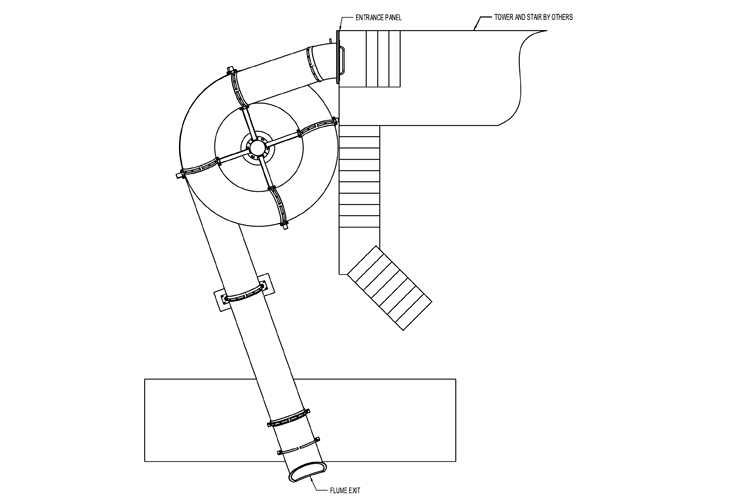 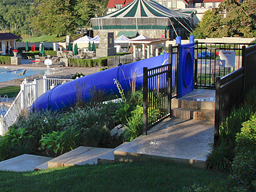 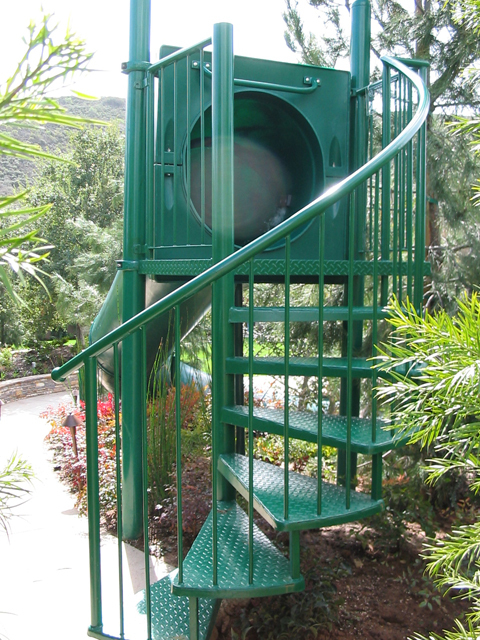 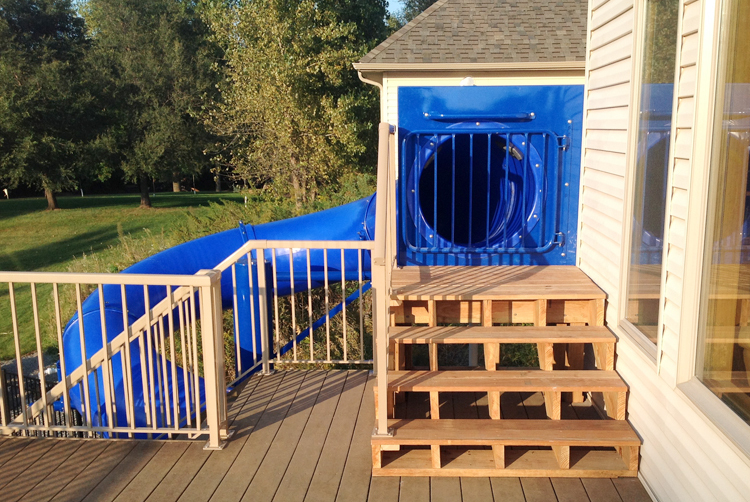 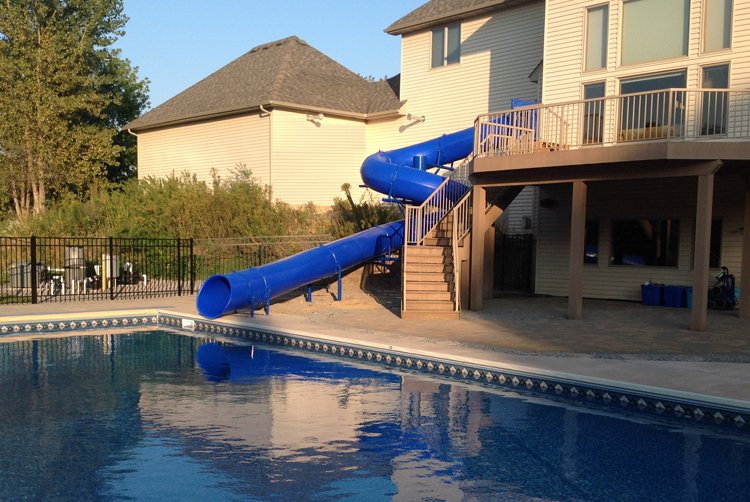 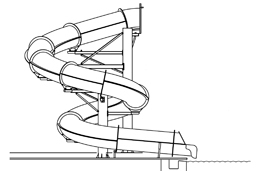 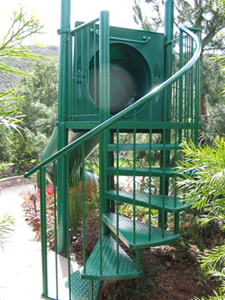 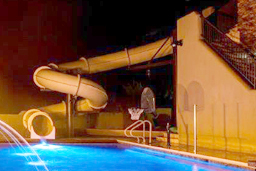 Slide Elevaton Height : 16' 10"
Space Requirements : 49' x 29' 10" – Space requirements may vary with options chosen. 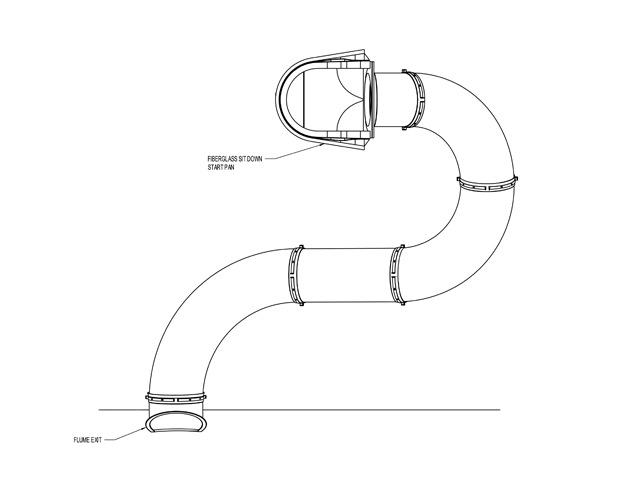 Centerline Run : 41' 2"
Slide Entrance Height : 10' 0"
Space Requirements : 17' 10" x 17' 3" – Space requirements may vary with options chosen. 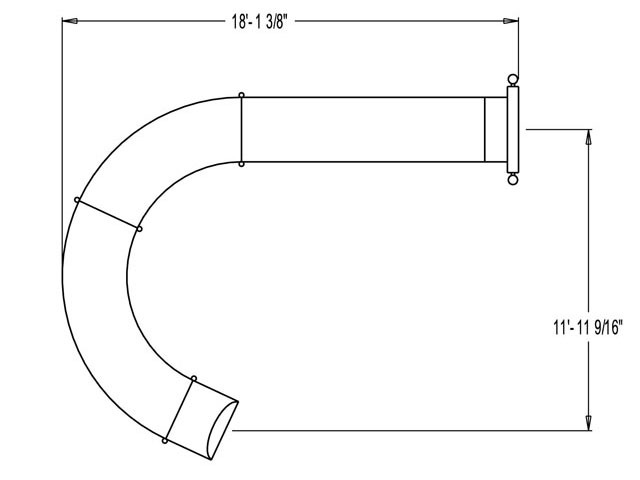 20-40 gpm water flow required. 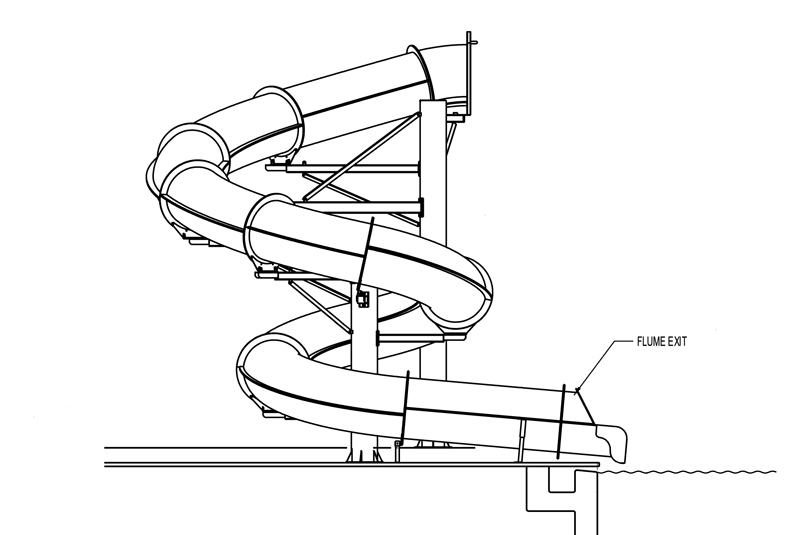 Slide Run : 20' 4"
Slide Entrance Height : 6' 6"
Space Requirements : 7' 6" x 14' 1" – Space requirements may vary with options chosen. 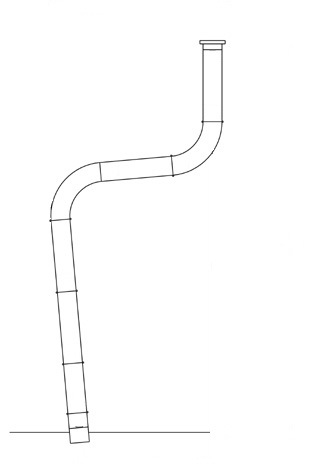 Description: Single 30” I.D. polyethylene flume with fiberglass exit lane. 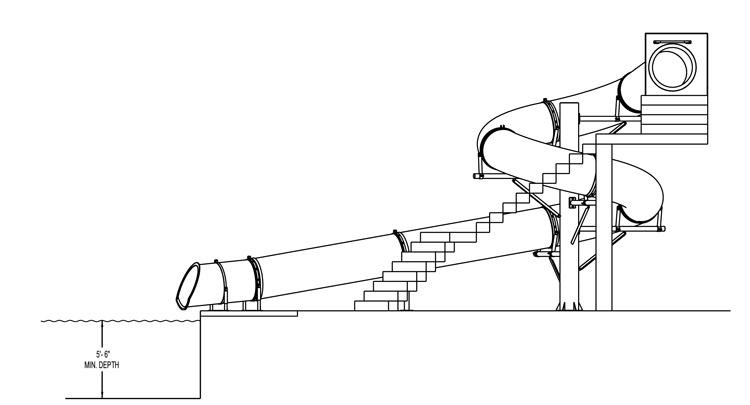 Slide Entrance Height: 10’ 8-3/4”. 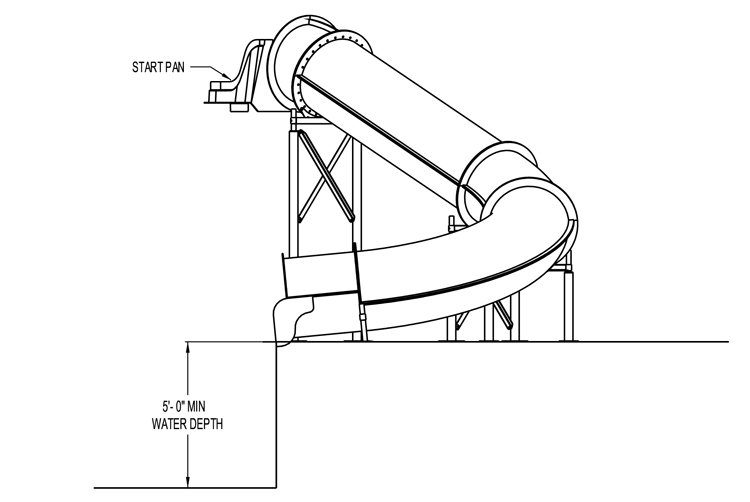 60 gpm water flow required. 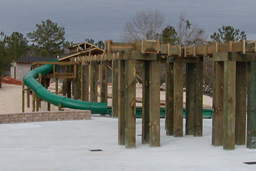 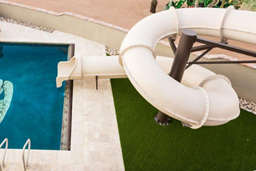 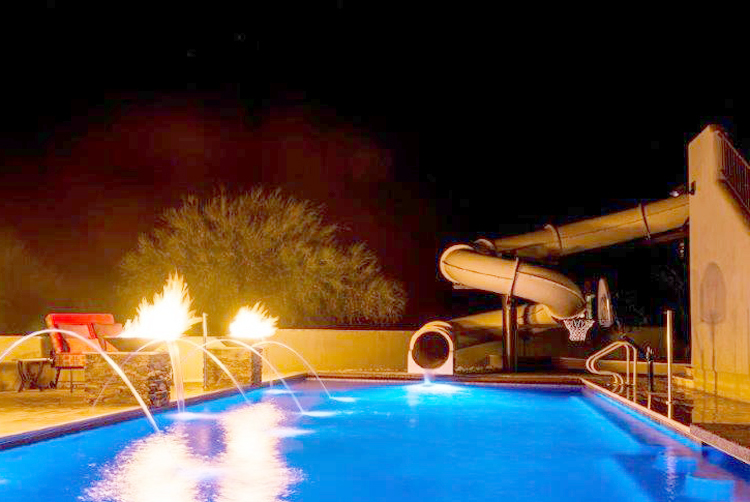 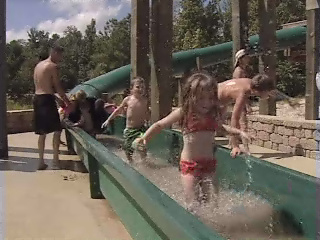 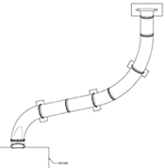 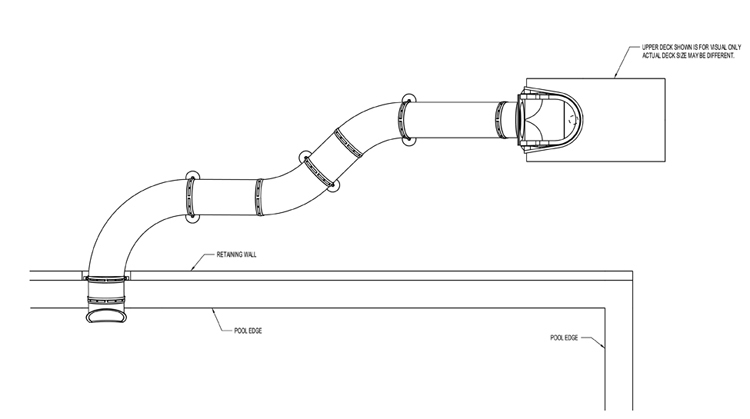 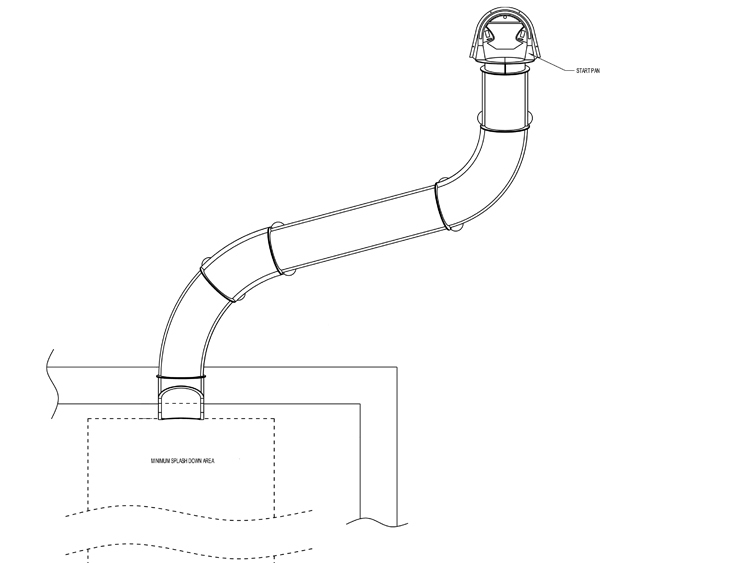 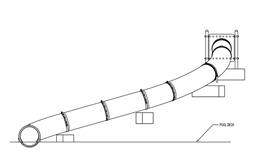 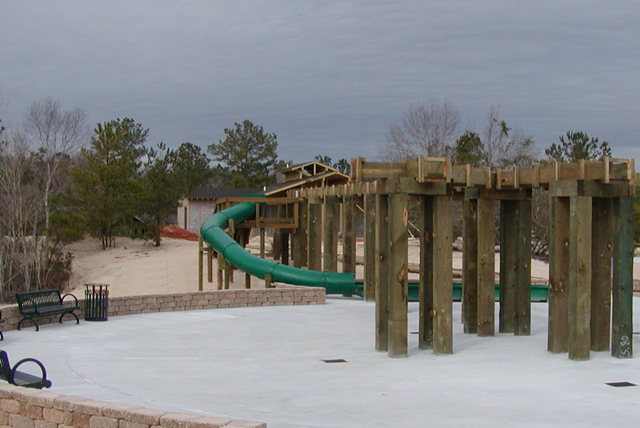 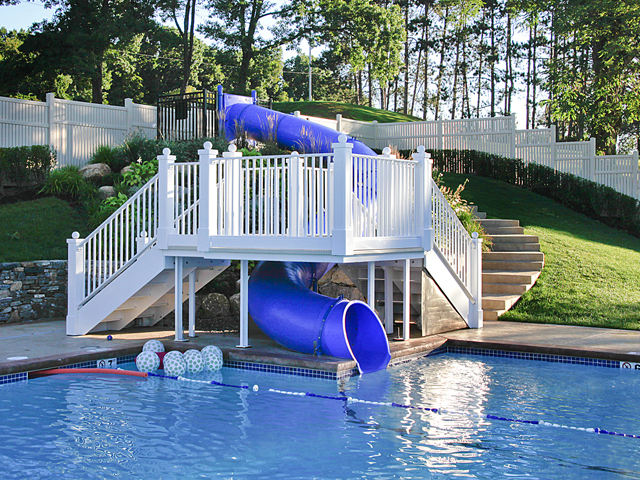 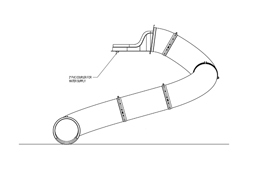 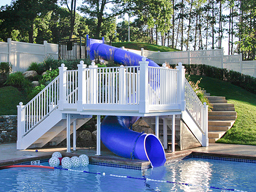 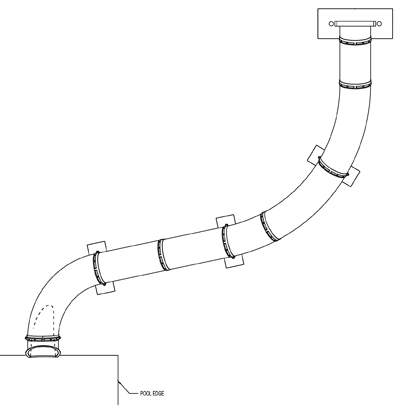 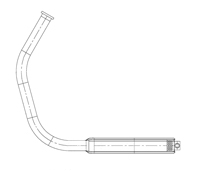 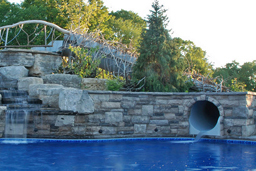 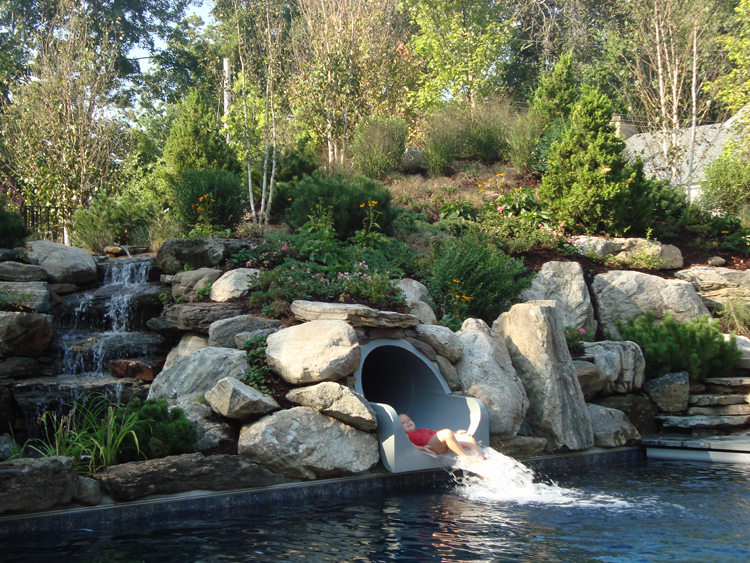 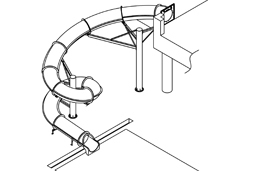 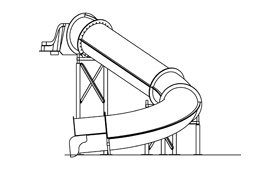 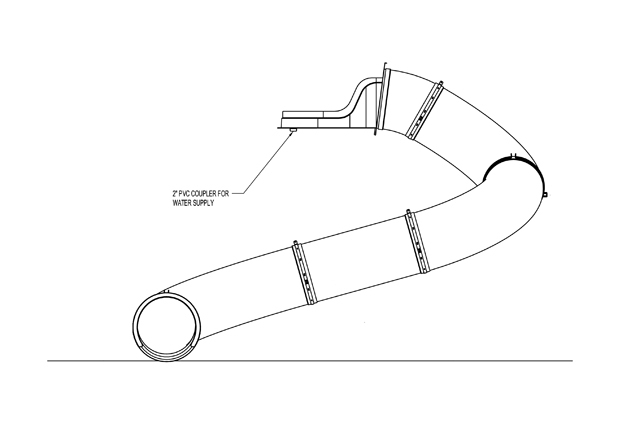 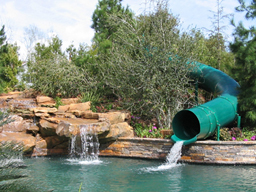 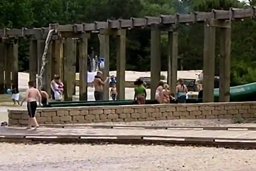 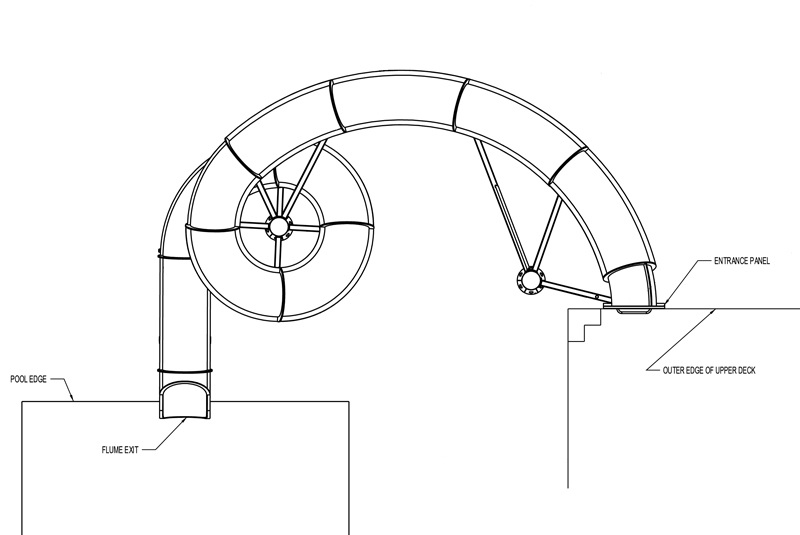 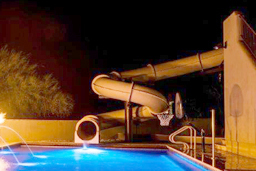 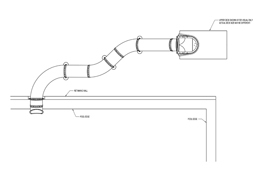 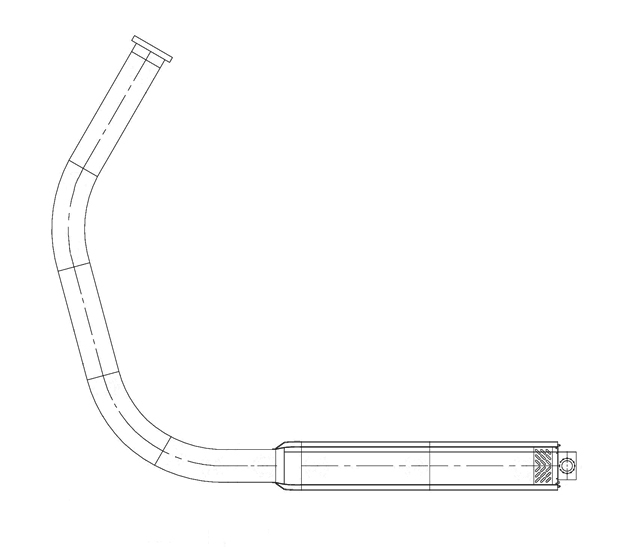 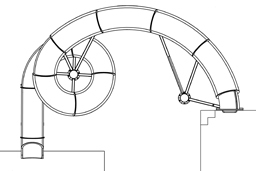 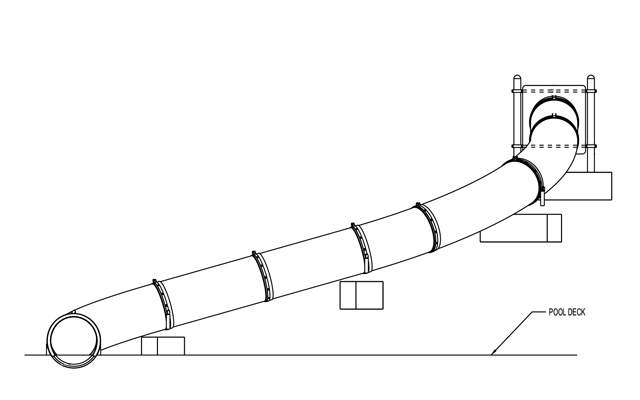 Description: Closed fiberglass flume slide featuring a 360° curve. 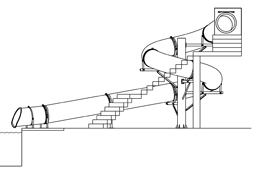 Platform Size: Platform and stairs done by others. 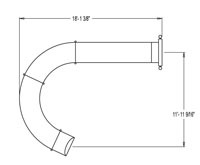 Space Requirements: 31’0” x 20’3” – Space requirements may vary with options chosen. 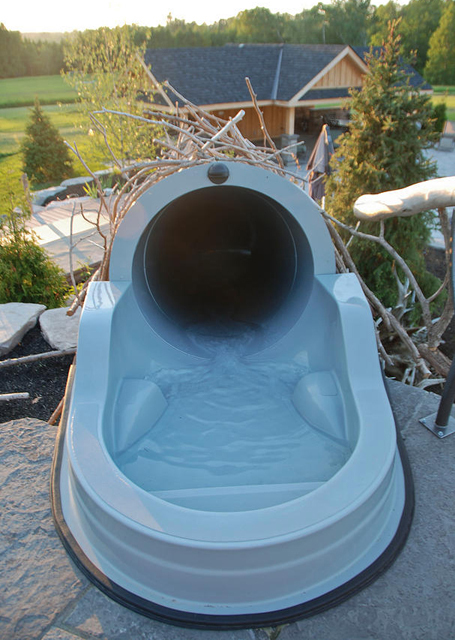 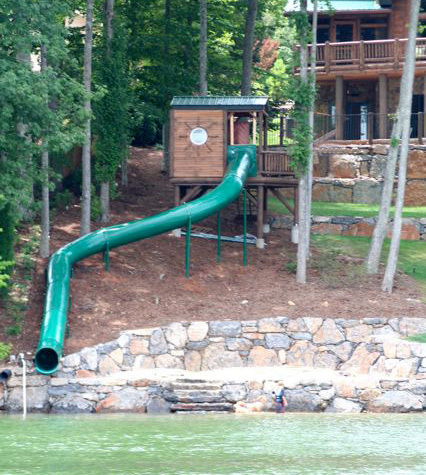 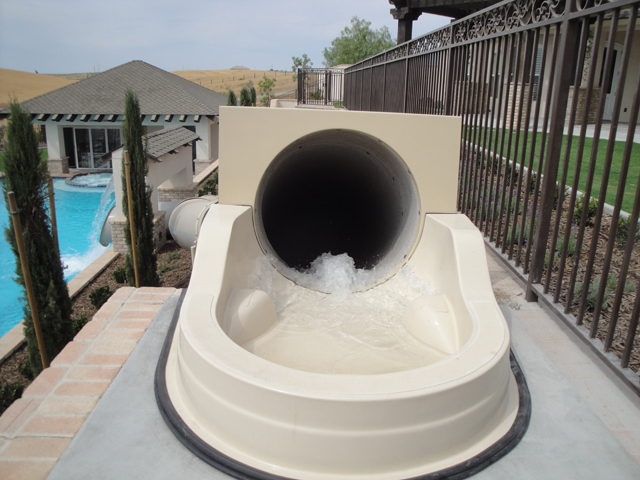 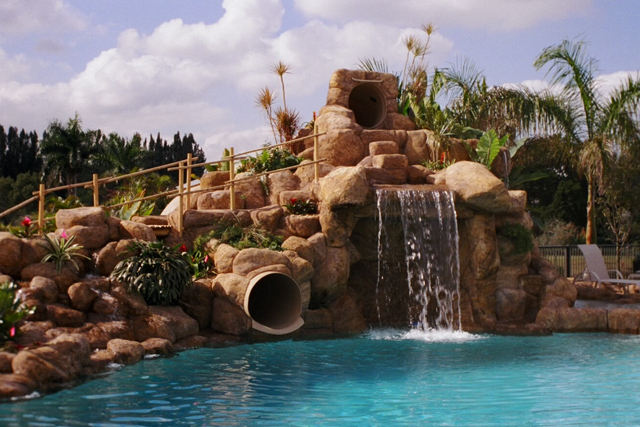 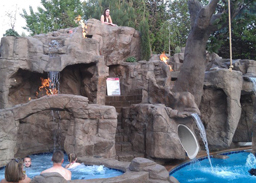 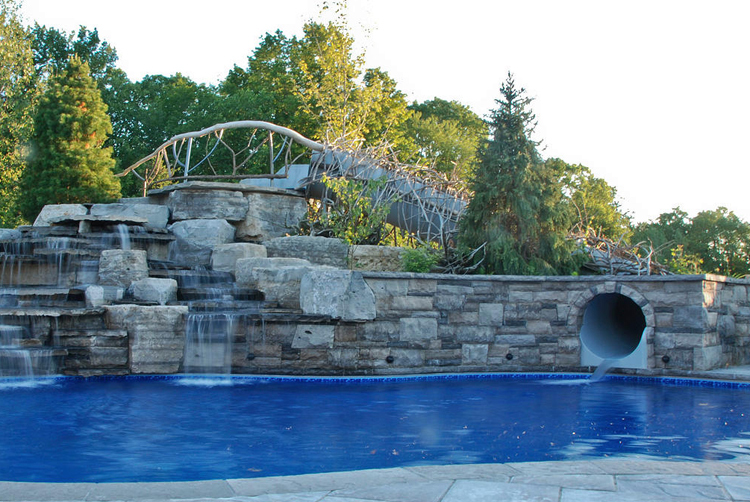 32" inside diameter closed flume fiberglass water slide. 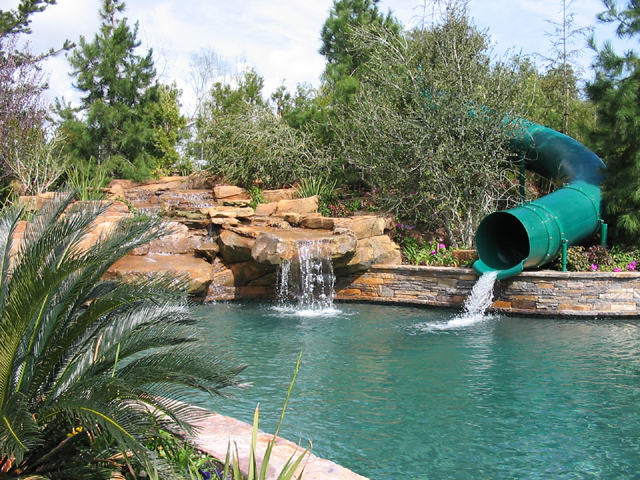 Water flow required: 40-60 gpm. 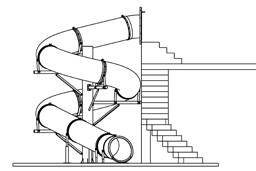 Slide Run : 46' 3"
Centerline Run : 42' 10"
Slide Entrance Height : 8' 0"
Space Requirements : 26' 1" x 26' 11" – Space requirements may vary with options chosen. 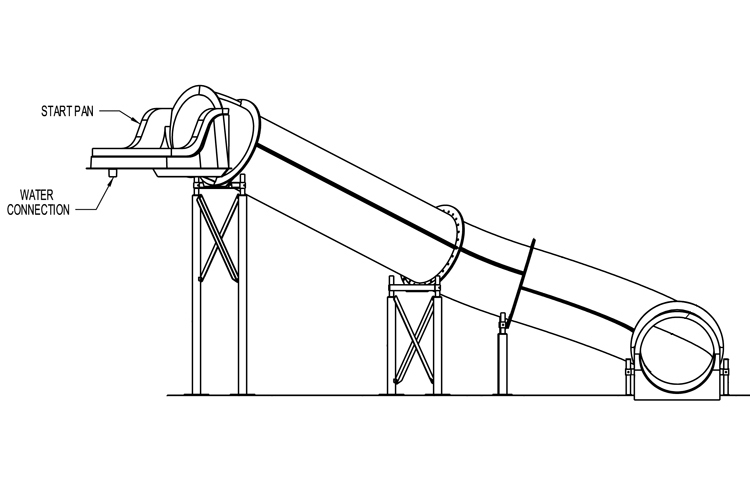 Slide Run : 37' 11"
Slide Entrance Height : 10' 6"
Space Requirements : 19' 0" x 11' 7"– Space requirements may vary with options chosen. 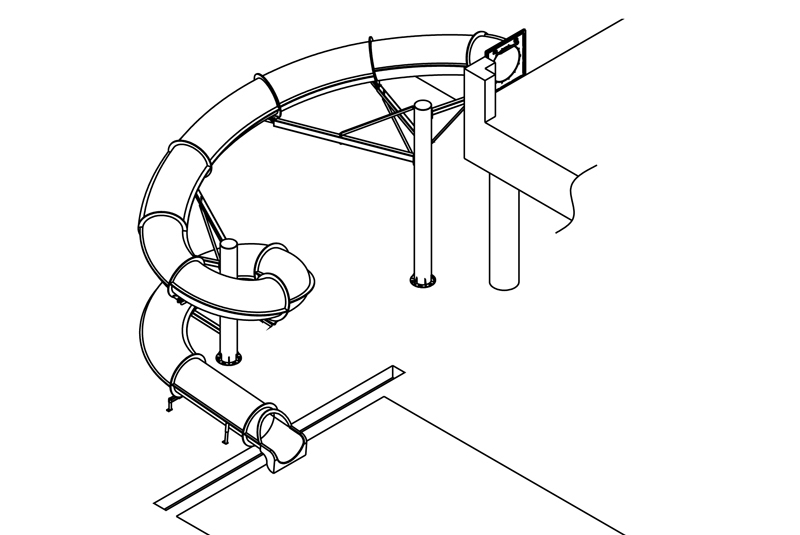 Slide Run : 48' 5"
Slide Entrance Height : 11' 6"
Space Requirements : 27' 11" x 29' 3" – Space requirements may vary with options chosen.